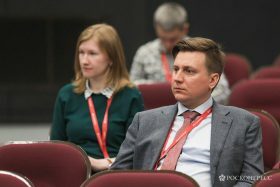 Home - Project Finance - Indigenous People Assessment for the needs of Nord Stream 2 AG, 2017. Nord Stream 2 AG (NS2 AG), a consortium for construction and operation of the Nord Stream 2 pipeline system (NS2). NS2 is a pipeline system drawn through the Baltic Sea. It would deliver natural gas from Russia directly to the European Union gas market. The twin 1200-kilometer subsea pipelines will have the capacity to supply about 55 billion cubic meters of gas per year. The Russian section of the Nord Stream 2 Project will be developed in the Kingisepp district of the Leningrad Oblast’. Within the Project’s development, “EthnoExpert” is committed to full compliance with the International Finance Corporation Performance Standards (IFC PS 7 Indigenous peoples). 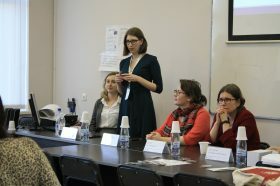 “EthnoExpert” assessed the state of indigenous peoples (Izhoras, Vods, Ingrian Finns) living in the Leningrad Region, in the area of NS2 project development. The survey included the documentary source study, expert consultations with local administration employees, educational and cultural institutions, leaders of public organizations, as well as over 40 interviews with representatives of indigenous peoples. 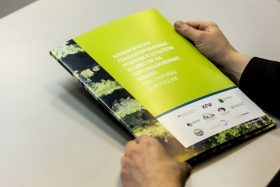 “EthnoExpert” experts identified the area of ​​settlement and the number of indigenous peoples; the current state of their traditional culture and nature management; the legal status of indigenous peoples, their formal and informal rights to land and water resources; the potential impact of the Project on the indigenous population. “EthnoExpert” developed recommendations for the Project implementation route. Furthermore, the company defined opinions and expectations of indigenous peoples, made recommendations for establishing partnerships with stakeholders, and proposed a set of measures aimed at supporting the development of indigenous peoples in the project implementation area.